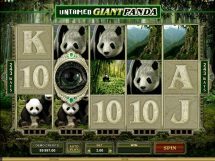 Untamed Giant Panda slot is one of a set which has 3 others including Untamed Wolf Pack although they have feature differences despite all being 243 way games. 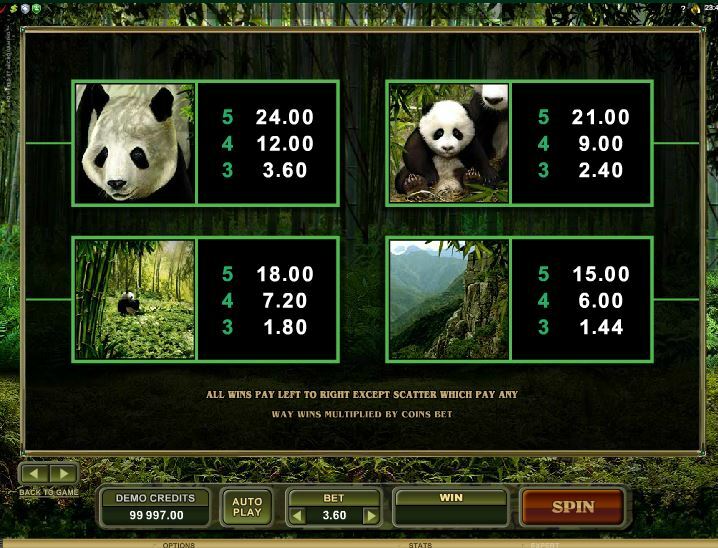 The 5-of-a-kind pays are quite low as during features you can land many combinations as we will see. 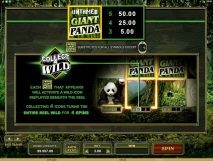 The Panda is the highest-paying and the title of the slot forms the Wild which appears singly on all reels at 1x in the base game. 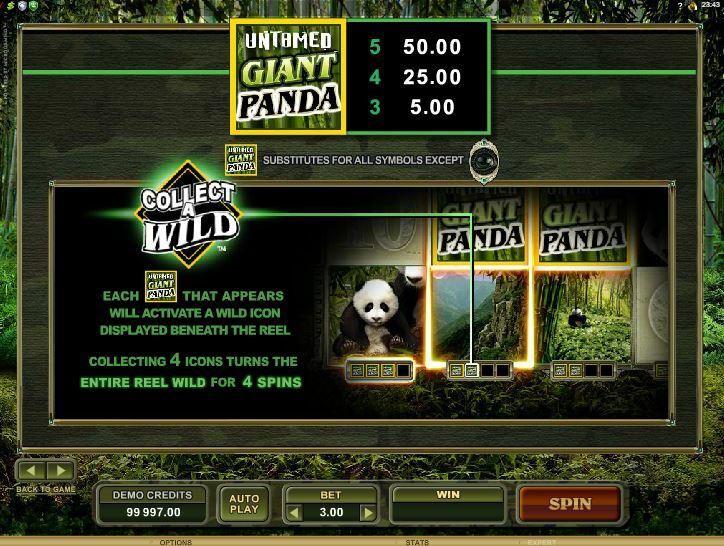 You actually have a ‘Collect A Wild’ feature in-play which means when 4 Wilds have been collected on any reel it will turn and stay wild for 4 spins. 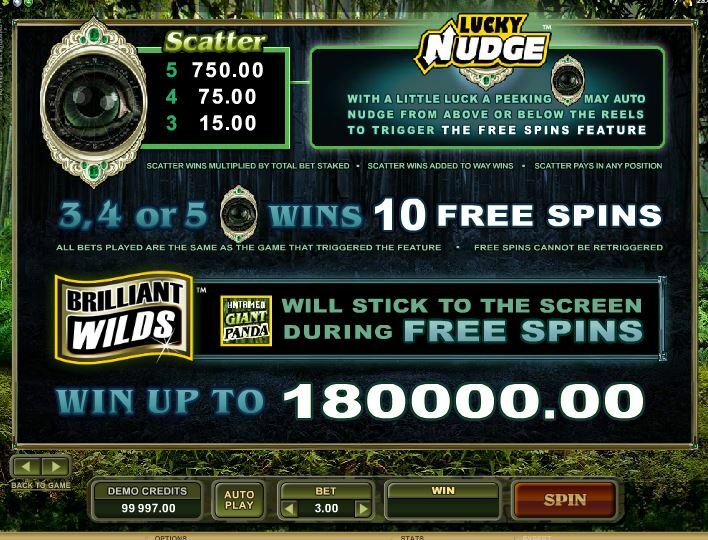 The free games are triggered by 3 Eyes and a little quirk is that if you land 2 and the third is in view above or below the reels you may get a lucky nudge to move it onto the paying reels. 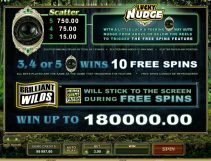 You get 10 free games with Sticky Wilds that remain for the duration of the bonus. 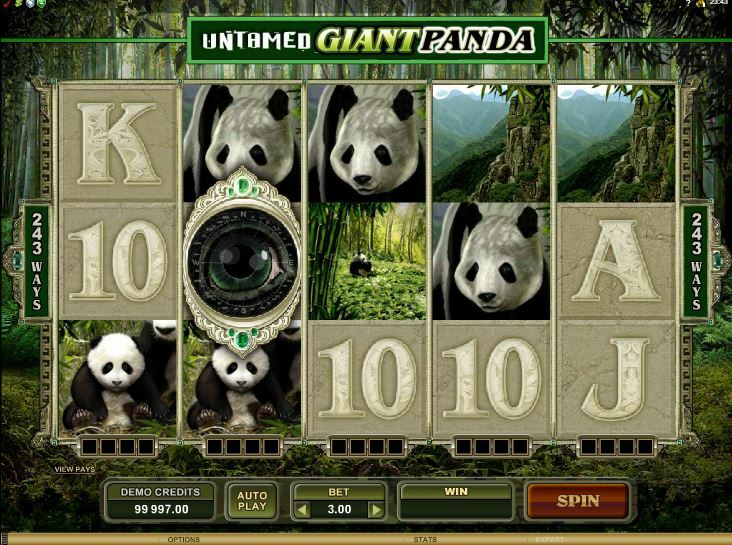 No retrigger available. 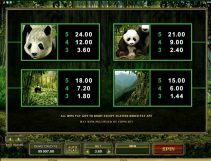 RTP is 96.40%.